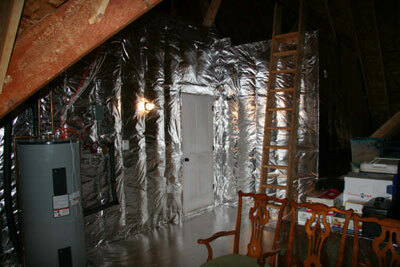 There are many radiant barriers in the market today. They come in various weights, thicknesses, perforated, non perforated and on and on and on. 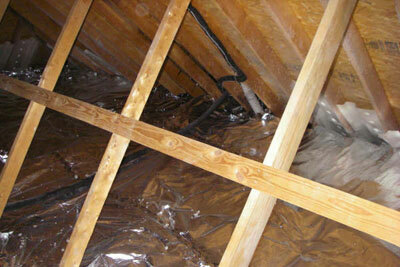 Most make claims of energy savings that are outrageous. They can be installed several different ways and everyone has their favorite methods. All of them claim to be the product invented by NASA. The proper barrier, properly installed, can be an excellent investment for any homeowner. Gear will cut through the hype, and give you accurate information, so you can make an informed decision about what will work best and get you your quickest return on investment. Solar heating needs to add that on radiant floor heat this application is best used in new construction where the application is more cost effective than a retro-fit on an existing home. Solar pool heat needs new schematic with a heat exchanger used as oppose to running pool water through header.